We have been serving the Goshen area for over 18 years in business and have the ability to quote policies with multiple insurance companies to provide our customers with the best rates possible. Our knowledgable staff has a combined 61 years of experience in the insurance industry. 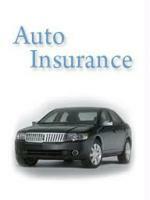 We would be happy to give you a free insurance review, even if you are not currently insured with our agency.